While migraines are commonly thought of as just bad headaches, they often involve other symptoms as well. You can experience up to four phases during a migraine episode, each of which can be recognized by its own set of characteristics. Your migraine attacks may not all be exactly the same, but recognizing the range of symptoms that can occur can help tip you off as to if what you're experiencing could be a migraine. If you're already diagnosed, knowing where these symptoms fit into the typical sequence of stages can help you decide when to take your medication. Migraines may result in medication-related complications, and rarely, a migraine can induce a serious health complication. 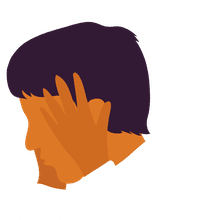 Other conditions, such as transient ischemic attack (TIA) and multiple sclerosis (MS) can produce symptoms similar to those of a migraine, so you may need to seek medical attention if you have any warning signs. Migraine episodes can include several stages: prodome, aura, headache, and postdrome. You may cycle through all of these phases when you have a migraine, or you might experience just one, two, or three of them. The headache phase is the most common, while the aura is the least common. The prodrome is characterized by premonitory symptoms of an impending migraine and it can begin hours or days before a migraine episode reaches its peak intensity. Approximately 60 percent to 80 percent of migraineurs experience prodromal symptoms, and taking migraine medication during this stage may stop the episode from progressing. Approximately 20 percent of migraineurs experience aura, which usually follows the prodrome and lasts for less than an hour. This stage is characterized by neurological symptoms, and it can be quite terrifying, especially when you experience it for the first time. The head pain of a migraine is often described as throbbing, pounding, or pulsating. You may also experience other symptoms along with the head pain. This phase usually lasts from one to 72 hours. Migraine effects are not limited to the head and often affect the neck, shoulders, arms, or the entire body. The symptoms are often worsened by activities such as walking, riding in a car, or exercising. After the most intense phase of a migraine, you may experience a postdrome before your migraine attack is completely over. Many people describe postdrome as feeling "like a zombie" or hungover. Postdromal symptoms can be associated with abnormal cerebral blood flow and electroencephalogram (EEG) patterns for up to 24 hours after the end of the headache stage. Even if you do not experience the headache stage, you may still experience a postdrome phase. Migraine stages may overlap, sometimes with the aura occurring at the same time as the prodrome, headache, or postdrome. Prodromal symptoms may linger even as the headache peaks, and postdromal symptoms can begin before the headache starts to resolve. Be sure to discuss these symptoms with your doctor. They could be signs of another medical condition, but if migraines are the cause, your child can take medication to help prevent and treat episodes. Rare symptoms are typically associated with migraine subtypes, and while they may be similar to a migraine aura, the main difference is that these unusual symptoms are usually the most prominent aspect of the migraine episodes. Paralysis, typically in one arm, occurs with hemiplegic migraine. If you have hemiplegic migraines, you may also experience several migraine stages and other aura symptoms. There is a strong hereditary tendency to develop this type of migraine. More common in children than adults, abdominal migraine is characterized by stomachaches that occur without a gastrointestinal cause and may involve nausea and vomiting. Double vision, blurred vision, a droopy eyelid, or an obvious inability to move one eye can be a sign of ophthalmoplegic migraine. Although not very common, you can have a migraine aura without a headache. There are several terms used to describe this experience, including "silent migraine," "sans-migraine," and "migraine equivalent." Migraines do not typically cause complications, although they can. The most common complications are related to medication use. Side effects of overuse can include stomach pain and gastrointestinal bleeding from taking high doses of nonsteroidal anti-inflammatories (NSAIDS). Other medications, including triptans and ergot medications, can cause side effects such as dizziness, tingling, or even vascular complications when taken at higher doses than directed. Keep in mind that all medications—whether over-the-counter or prescription— can cause side effects even at recommended doses. Medication rebound headaches or medication withdrawal headaches can occur when you take migraine medications at high doses or for a prolonged time and then abruptly stop. Be sure to discuss a medication plan with your doctor—and if it isn't working, then discuss another plan instead of taking extra medication to deal with your migraines. Status migrainosus: If your migraine lasts longer than 72 hours despite treatment, it's termed status migrainosus, a condition that is unlikely to resolve with your regular prescription. You should seek medical attention because you may need treatment with intravenous (IV) medication. Migrainous infarction: An infarction in the brain is a type of stroke caused by lack of blood flow. A migrainous infarction begins with migraine symptoms that can eventually involve stroke symptoms and may produce permanent neurological effects. Seizure: A convulsive episode that may be characterized by involuntary shaking or jerking may occur as a result of a migraine. The physiological reason for this complication is not well understood. Migraines do not normally require emergency medical attention. The treatment is really based on a plan for both prevention and treatment of acute attacks. Nevertheless, when you are not sure if your symptoms are caused by a migraine, or when your migraine pattern changes, you need to seek medical attention. Symptoms such as paralysis, loss of sensation, difficulty communicating, loss of vision, and double vision can all be manifestations of a stroke, MS, meningitis, seizures, and other neurological illnesses. If you experience any of these rare symptoms and they have not been attributed to migraines (or if you're unsure of their connection), then you should get prompt medical attention. If your migraine pattern changes in frequency or intensity or if your symptoms change, you should talk to your doctor. You may need a diagnostic evaluation or a change in your treatment plan. What Are the Causes and Risk Factors of Migraine?